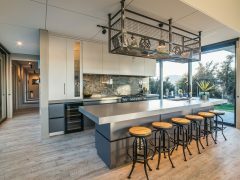 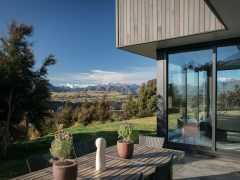 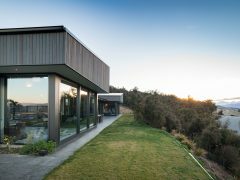 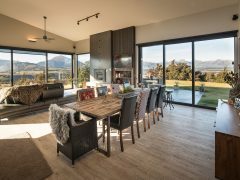 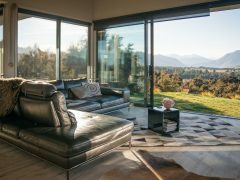 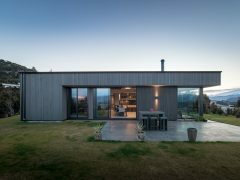 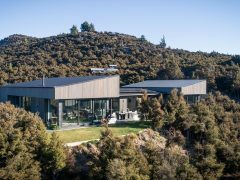 Set amongst existing native vegetation on the upper slopes of Mt Iron, this four-bedroom family home enjoys impressive panoramic views of the Southern Alps. 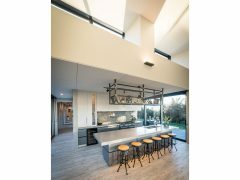 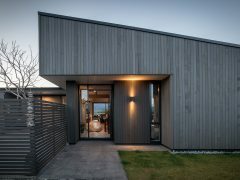 The design comprises of two mono-pitch gable forms angled west to bring light deep into the spaces and capture the last of the evening sun. 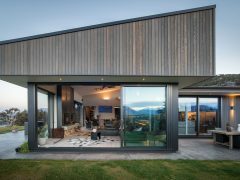 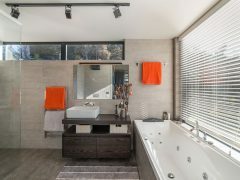 Externally clad in dark stained cedar with black window joinery, the simple geometries of the elevations reflect the clients desire for an understated modern design. 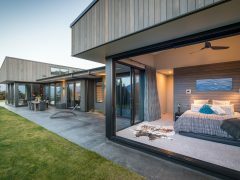 Internally the material palette is simple and refined; floors are oak, walls are generally white with cedar & blackened steel features.